Product prices and availability are accurate as of 2019-04-13 20:36:19 EDT and are subject to change. Any price and availability information displayed on http://www.amazon.com/ at the time of purchase will apply to the purchase of this product. 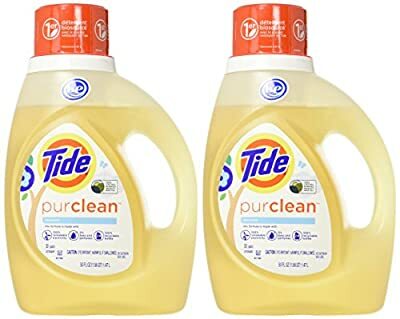 Unscented Tide purclean is a bio-based liquid laundry detergent that has the cleaning power that you expect and deserve from Tide. 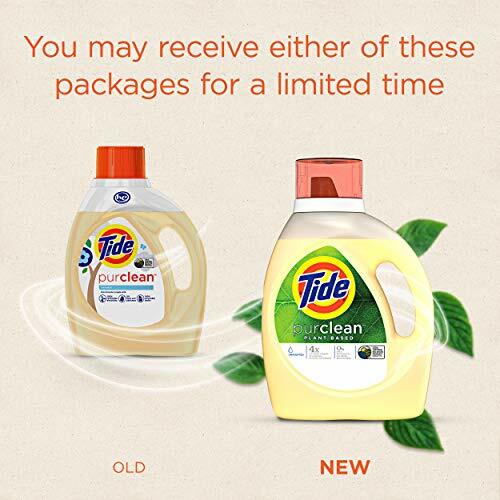 Tide has been on a journey of sustainability for many years now and this is the latest step in this journey to deliver a more sustainable product that does not compromise on cleaning performance. 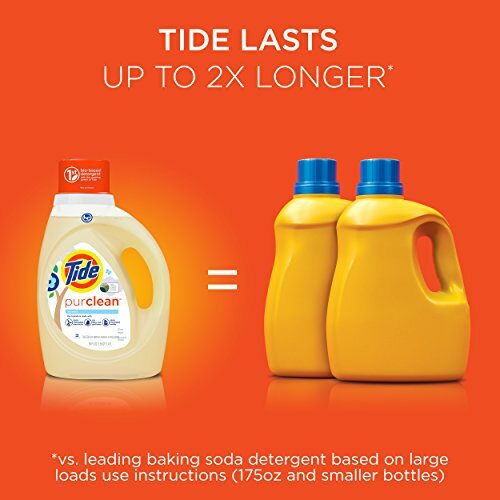 It is the first 65% USDA certified bio-based detergent with the cleaning power of Tide. 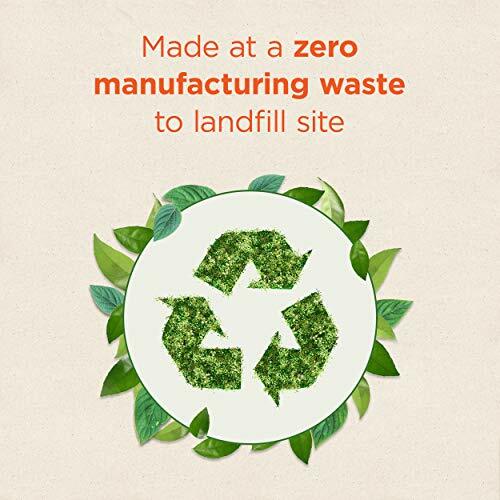 Tide purclean is a formula made with 100% renewable wind power electricity (1) and is made at a site that has zero manufacturing waste to landfill. It is also formulated to be free of dyes, perfumes, chlorine and phosphates. 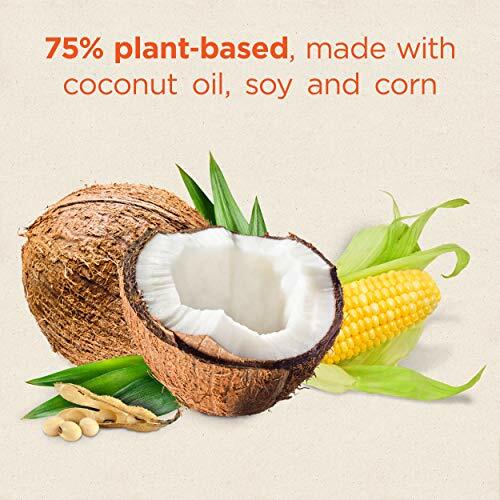 The formula contains water, plant derived surfactants, coconut derived cleaning agent, plant derived processing aid, bio-derived enzymes, mineral based enzyme stabilizer, pH adjuster and chelant. For a full list of ingredients visit our site. (1) The same facility also uses steam power; electricity represents approximately 50% of total energy used. 1st bio-based detergent with the cleaning power of Tide (65% bio-based) USDA Certified Tide liquid laundry detergent Formula made with 100% renewable wind power electricity at a zero manufacturing waste to landfill site (the same facility also uses steam power; electricity represents approximately 50% of total energy used) It is designed free of dyes, perfumes, chlorine, phosphates or optical brighteners.For both High Efficiency (HE) and regular washers Formula also contains small amounts of sodium formate, sorbitol, and phenoxyethanol.